You can't go wrong with black and white combination. There are so many ways to wear black and white styles and for different occassions. Today's look is the untraditional work style. I wore a classic black pencil skirt with a crop top, which is different from your button down shirt for work. 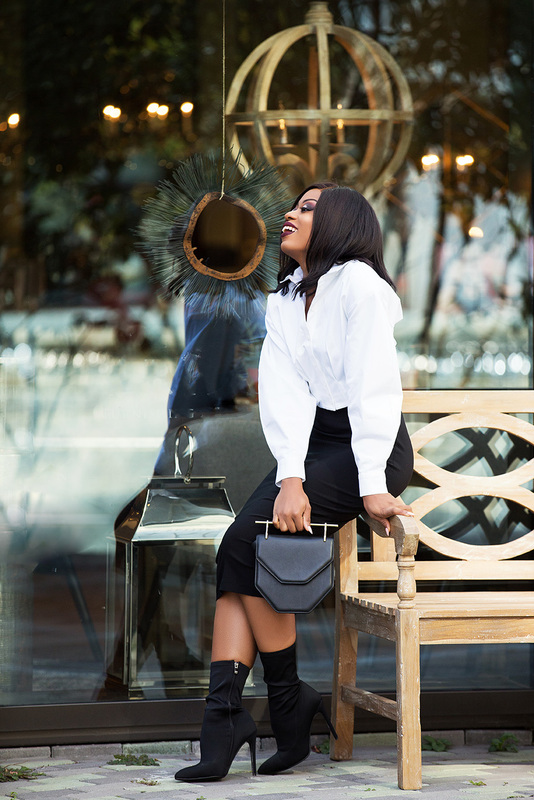 This black and white look is different in term of the crop top and the exaggerated sleeve style of the crop top. I completed the look with a classic black pumps for the first look. 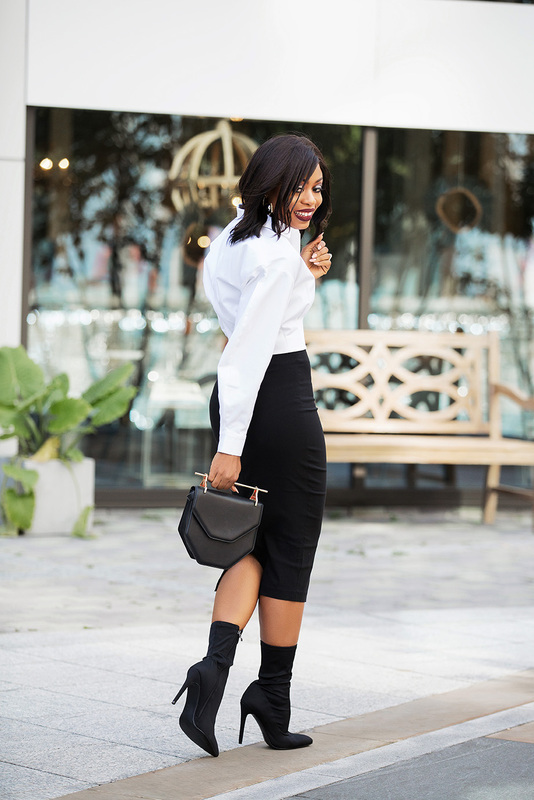 For a different take on the black and white combo, I paired it with ankle sock boots, which is great for fall. So classy as always! I love your work style posts! Perfect pencil skirts are hard to find, you nailed this!